UPDATED: Fri., March 16, 2018, 9:07 a.m. The Spokane County Republican Party is weighing whether to continue the raffling and auction of firearms at their annual fundraiser, a major source of donations to the group, following an outcry over a similar giveaway in Stevens County. “We’re trying to balance the sensitivity of current events with putting on an enjoyable event for our attendees,” said Stephanie Cates, chairwoman of the local party. At past Lincoln Day dinner events, the GOP has raffled off shotguns, pistols and rifles, Cates said. The weapons always require a background check and the party emphasizes gun safety. But this year’s raffle “probably won’t” include the AR-15, said Cates earlier this week. On Friday, Cates said the weapon definitely wouldn’t be among the items available at the annual fundraiser this year. The popular semi-automatic rifle has become a center of focus in the call for additional gun control measures after a school shooting in Parkland, Florida, last month. A gunman armed with the weapon killed 17 people, many of them students. In 2017, the party sold $20 tickets to enter a drawing for a Savage MSR-series rifle, a semi-automatic weapon that is similar in design to an AR-15. Stevens County chose not to include the rifle at their event, scheduled for March 24, the same day students nationwide plan to march to urge lawmakers to address school shootings. The party said they were partially inspired to do so because of comments made online by Lisa Brown, the Democrat running against Cathy McMorris Rodgers, urging the congresswoman to boycott the event because of the raffle. Cates said McMorris Rodgers is scheduled to speak at the Spokane County annual fundraiser June 2, which will take place at the downtown Davenport Grand Hotel. The event will feature Jason Chaffetz, a former lawmaker who was a driving force in Congressional investigations into Hillary Clinton. 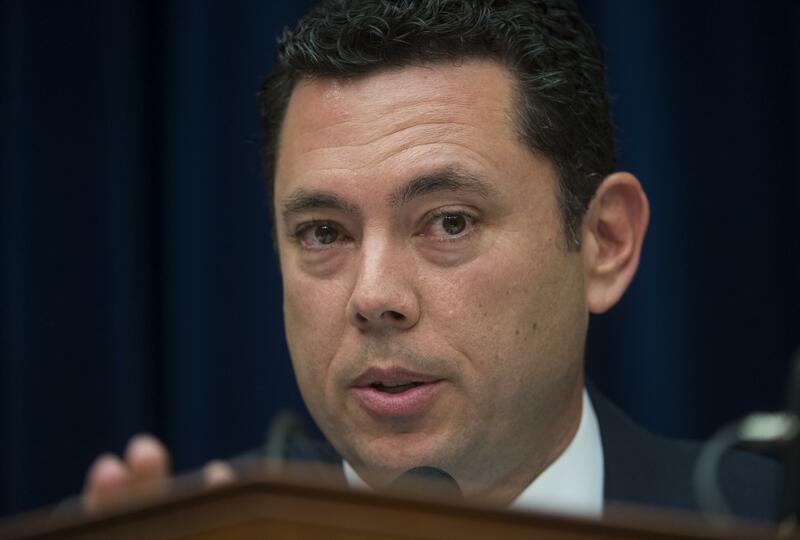 Chaffetz, a Utah Republican, was the chairman of the House of Representatives’ oversight committee and called for deeper investigations into Clinton’s tenure overseeing the State Department, including the attack on an embassy in Benghazi, Libya, in September 2012. Chaffetz withdrew his support for President Donald Trump after the Washington Post published a video in October 2016 in which Trump bragged about groping women, but he later reversed course and said he would vote for the nominee. He famously returned to the U.S. House of Representatives this summer to vote for the GOP’s health care proposal, using a scooter to reach the floor after undergoing surgery. He resigned from the House in June and is now a Fox News analyst. Past speakers at the Spokane County GOP dinner have included conservative social media personality Tomi Lahren and Dinesh D’Souza, who invited scorn on social media himself earlier this year when he mocked Parkland survivors for expressing dismay after the Florida Legislature voted against opening debate on stricter gun control laws. D’Souza later apologized. The party is selling tickets now for the event, which start at $80. They can be purchased at spokanegop.com. The Spokane County Democrats will hold their own fundraiser, named for the late House Speaker Rep. Thomas Foley, on April 27 at the Mirabeau Park Hotel and Convention Center in Spokane Valley. Ed Wood, chairman of the local Democratic Party, said in an email Thursday he was finalizing the list of speakers for the event. He said the Democrats will not raffle any firearms at their event. Editor’s note: This story was updated Friday, March 16, 2018, with a statement from Stephanie Cates that an AR-15 would not be among the firearms available for raffle or auction at the Lincoln Day Dinner fundraiser in Spokane. Published: March 16, 2018, 5:30 a.m. Updated: March 16, 2018, 9:07 a.m.